MOLDOVA. Transdniester. 2004. 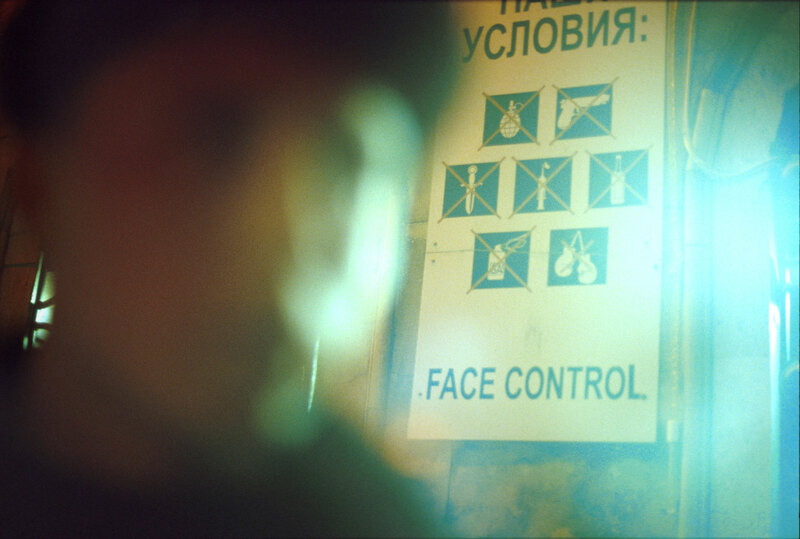 Outside the underground bar Prokhlada, a sign warns of the clubs conditions: No hand grenades, guns, knives, syringes, bottles, gas canisters or fighting allowed.